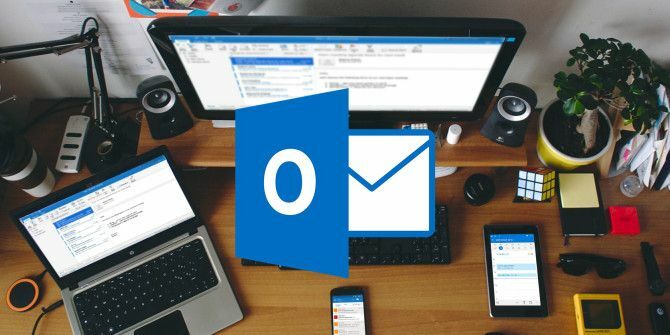 There’s no doubt that Microsoft Outlook is much more powerful and flexible than Mail or any other desktop email client out there. But with it being packed full of so many useful features, it can be overwhelming and difficult to navigate—unless you know these essential Microsoft Outlook keyboard shortcuts, which we’ve provided for you in cheat sheet format. Once you’ve mastered these keyboard shortcuts, you can take your productivity to the next level by learning these best practices for Microsoft Outlook 6 Best Practices for Outlook to Boost Your Workflow 6 Best Practices for Outlook to Boost Your Workflow If you spend any serious amount of time using Outlook, you should investigate your workflow. Make your email work for you and save time for more important tasks. Read More and incorporating these useful add-ins for Microsoft Outlook 6 Free Microsoft Outlook Add-Ins for Better Emails 6 Free Microsoft Outlook Add-Ins for Better Emails Add-ins can add functionality that Outlook is missing by default. We show you six free add-ins to increase productivity and fun within Outlook. Read More . And if you ever run into any issues, be sure you know these steps to fixing almost any issue in Microsoft Outlook How to Fix Common Microsoft Outlook Issues How to Fix Common Microsoft Outlook Issues Is Microsoft Outlook acting up on you? We have compiled fixes that should take care of all the most common issues. You'll be back in business in no time. Read More . Explore more about: Cheat Sheet, Keyboard Shortcuts, Microsoft Outlook. useful. more helpful that you list based on "ctrl" or "alt" unlike other websites. Can this and the other shortcut posters be printed, I am keen to read them while I am travelling to and from work on the train.